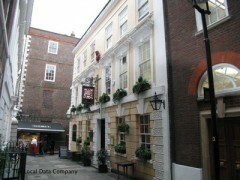 About: The Devereux is an old traditional London pub which offers regular guest ales and also has a restaurant serving a variety of pub dishes. They can cater for private parties of up to 150 people. Pavement seating is provided. A cashback facility is available.